A compact telephoto zoom that's great for action, people and travel. 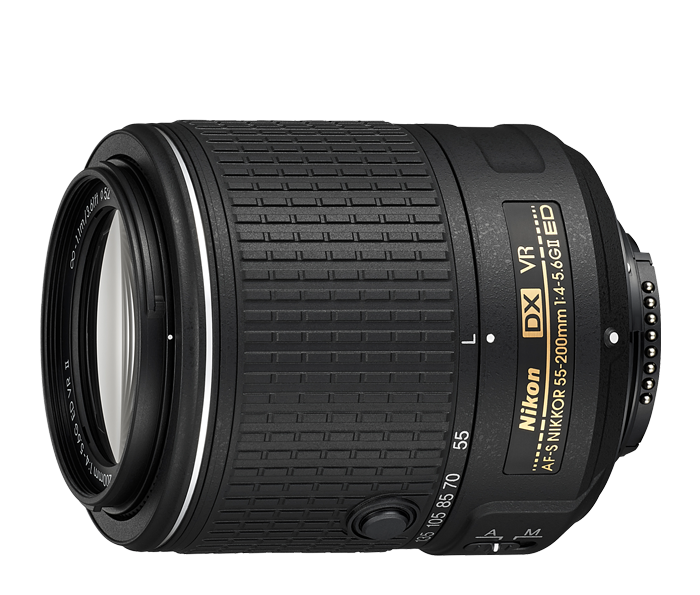 Forget about blurry photos and shaky videos with the AF-S DX NIKKOR 55-200mm f/4-5.6G ED VR II. Nikon Vibration Reduction (VR) image stabilization provides 4.0 stops* of blur free handheld shooting, assuring dramatically sharper still images, steadier HD videos and enhanced low-light performance.